Part of the Font Ketubot Series, this Ketubah brings modern art back to basics with a beautifully simple design, gorgeous color, and elegant calligraphy. 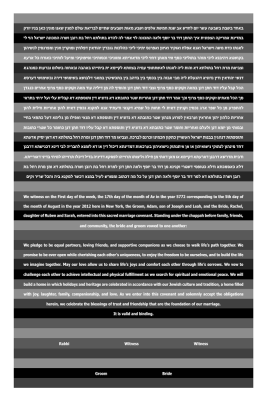 Although the artistic design plays a big part in the Ketubah, the text is what truly conveys’ a couple’s love and important commitment to one another. 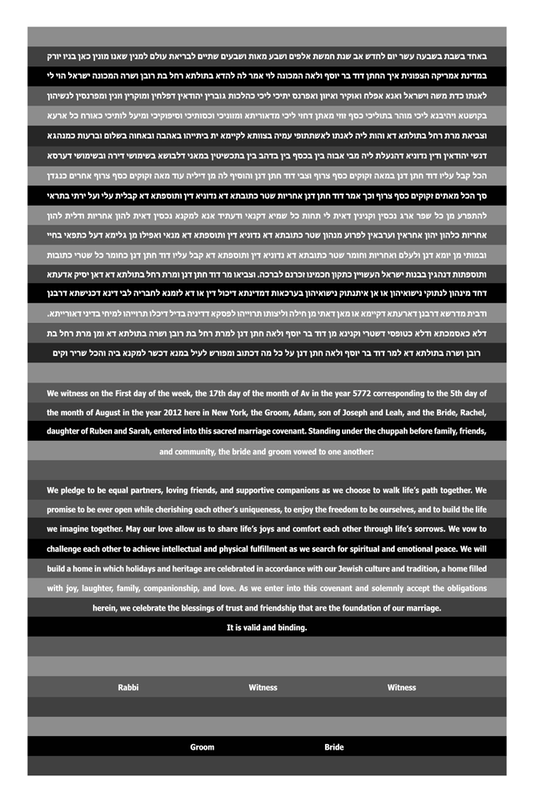 The Stripes Ketubah utilizes the significance of the text by integrating it into the design itself, creating a truly unique and meaningful Ketubah. The Stripes Ketubah exhibits a more classic design, while bringing emphasis on the Ketubah text. This Ketubah contains a simple color palette and a repetition of bold lines, accented perfectly by the white lettering. This work of art is perfect for the couple that wants something unique and modern — a work of art that will demonstrate the sanctity of the Ketubah tradition, as well as show off the boldness of your style!